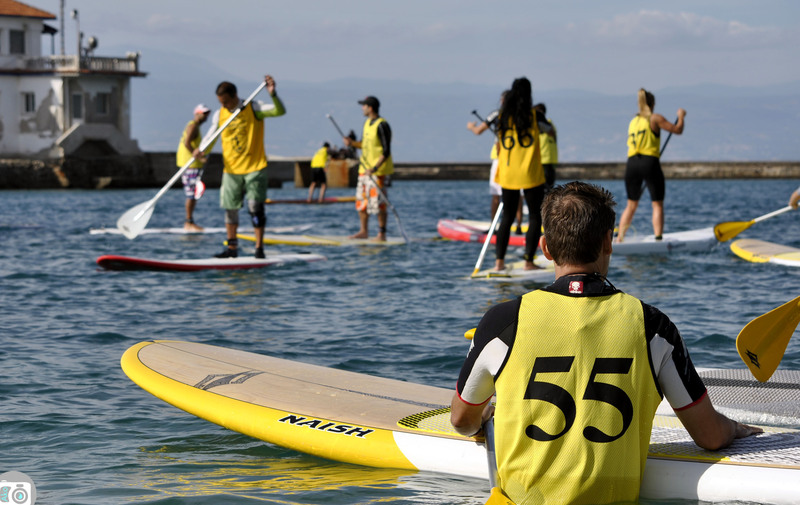 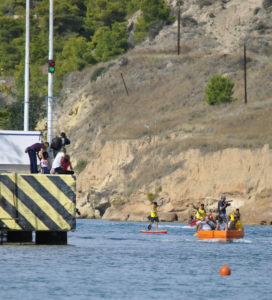 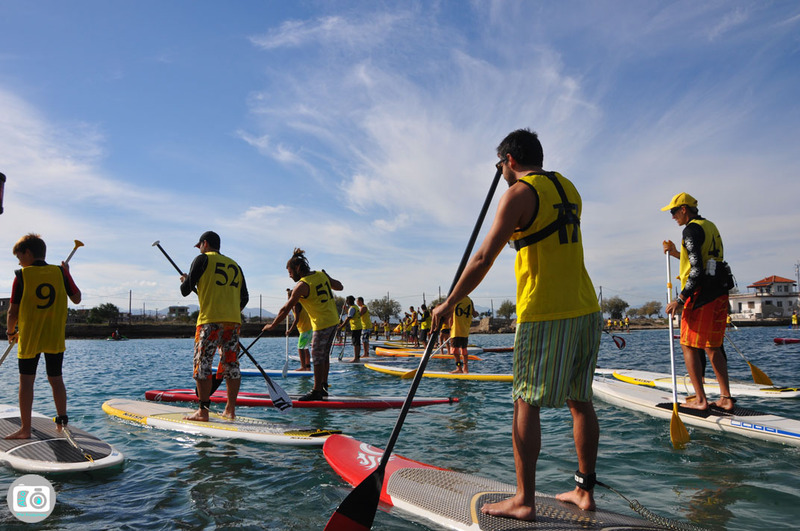 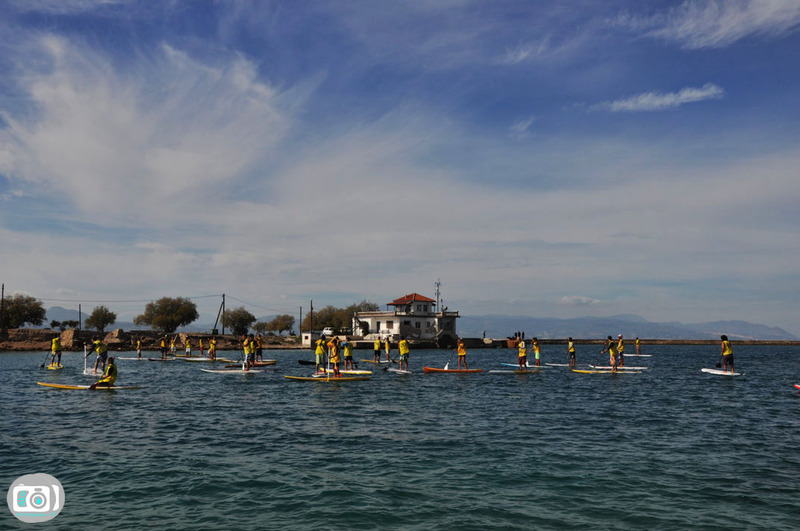 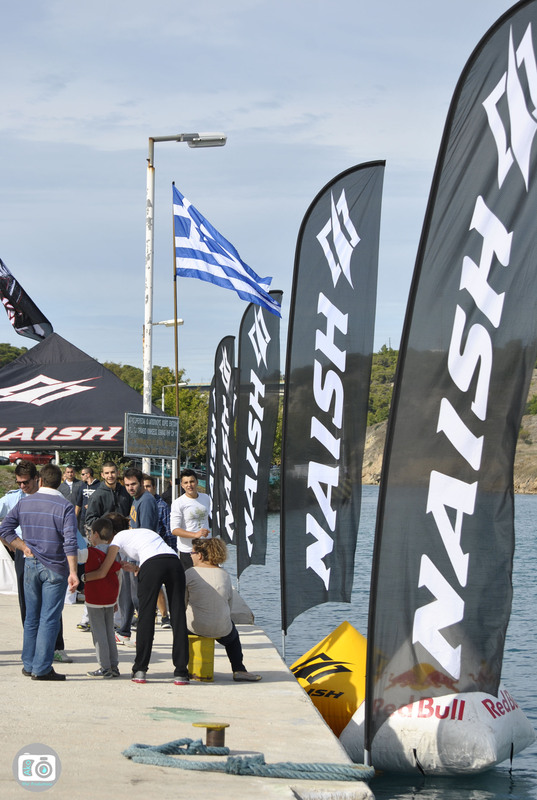 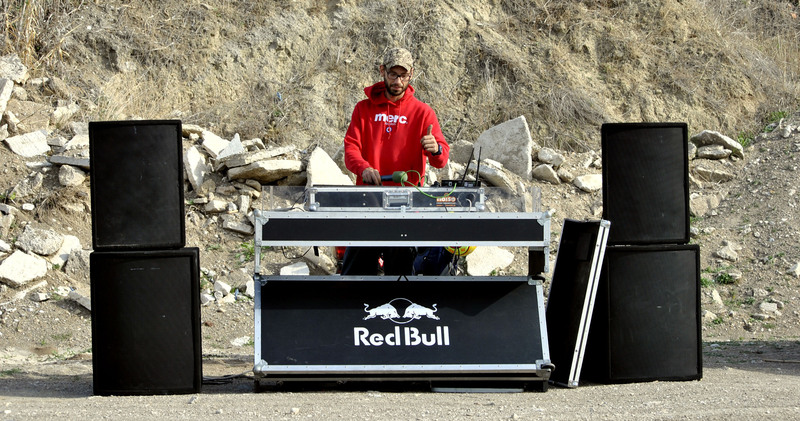 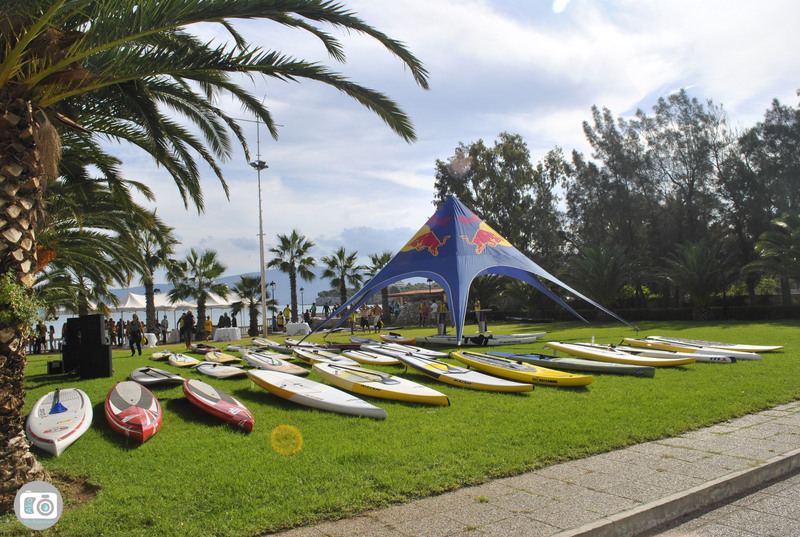 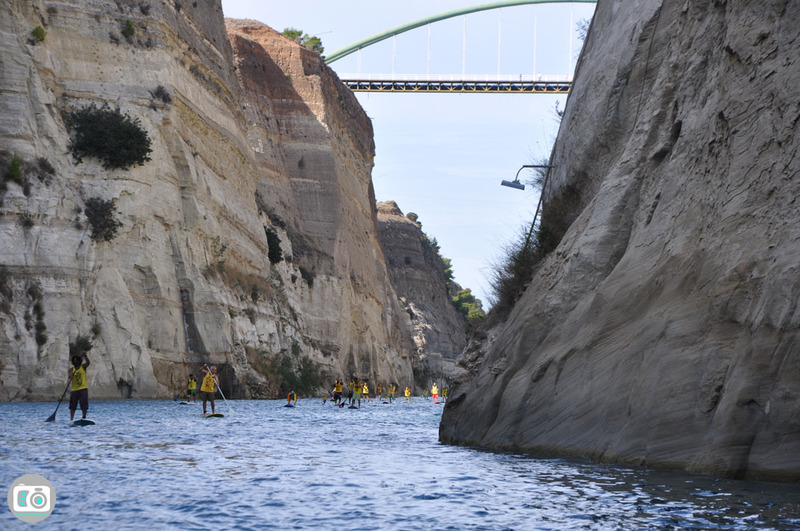 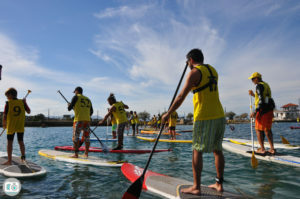 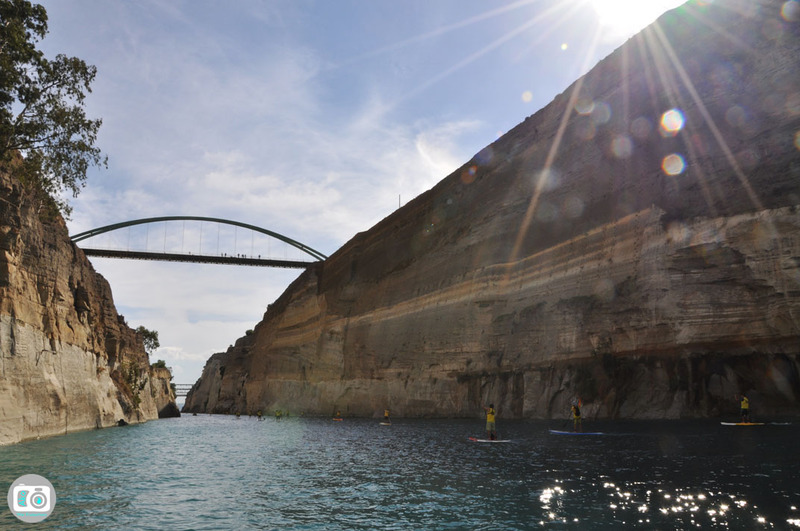 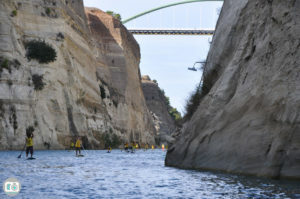 On November 4th 2012, the first SUP race-crossing was organized at Corinth Canal. 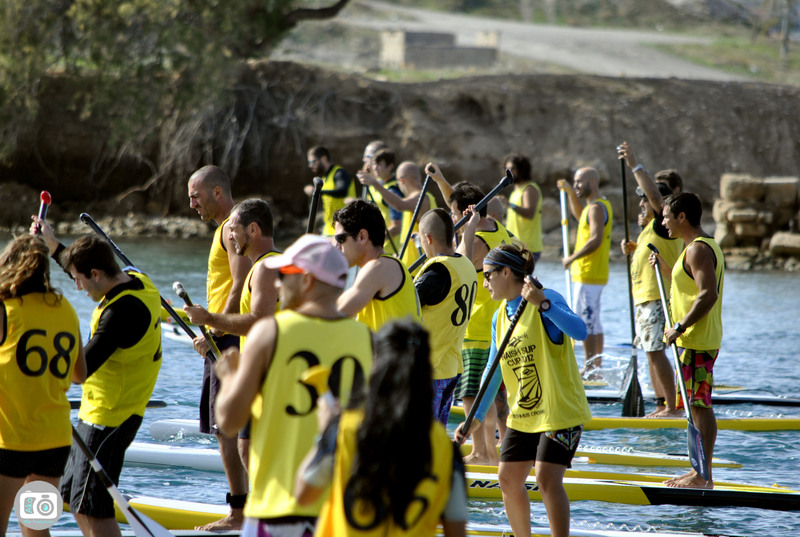 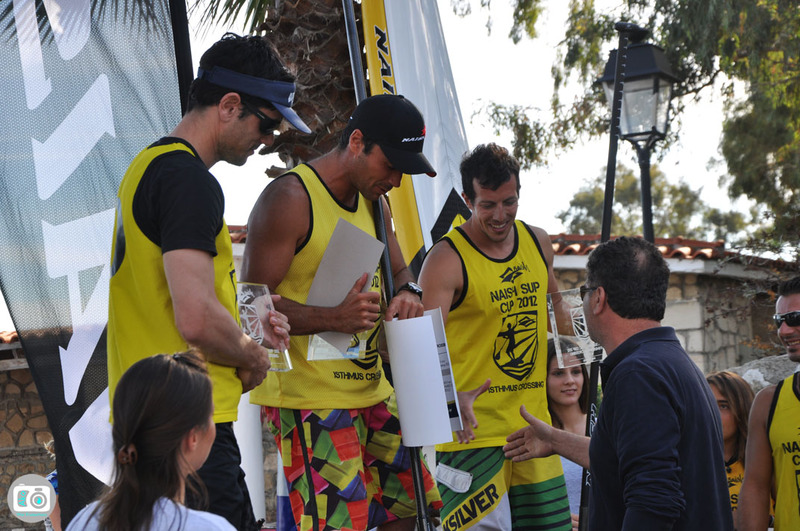 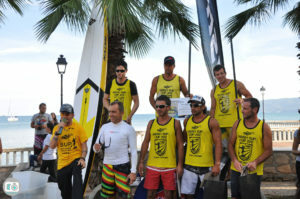 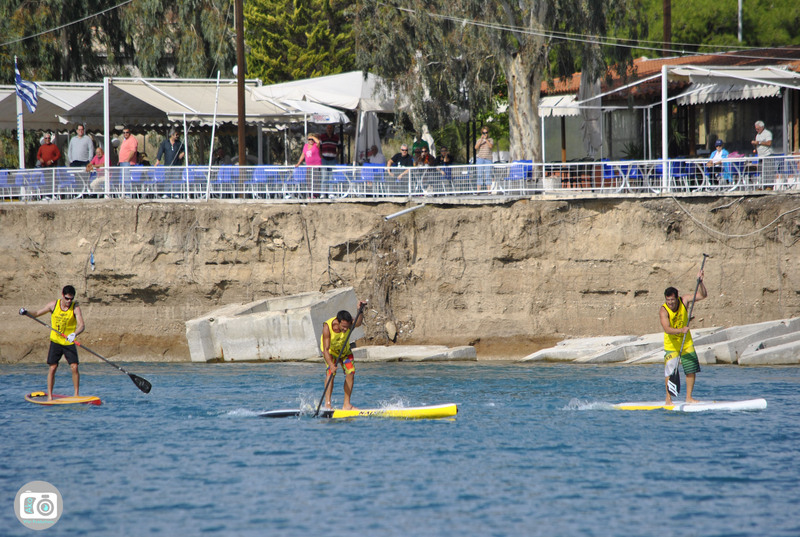 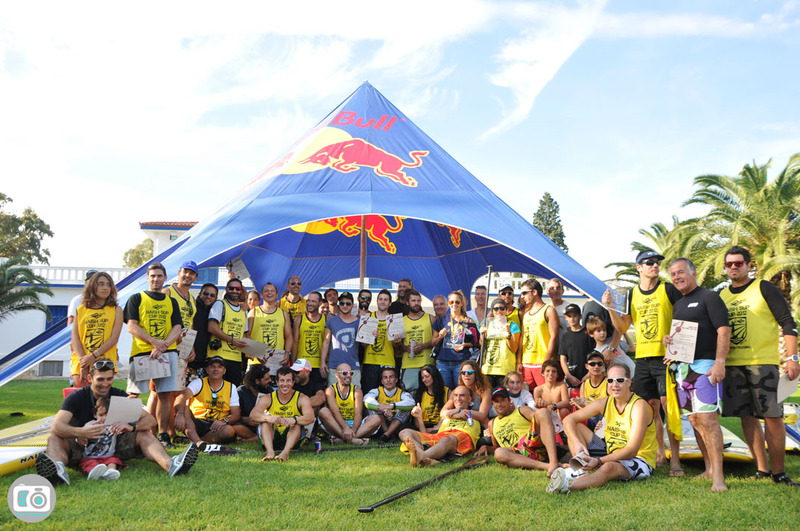 This race was the final chapter from a series of SUP races that were held through out the Summer of 2012 in several spots in Greece. 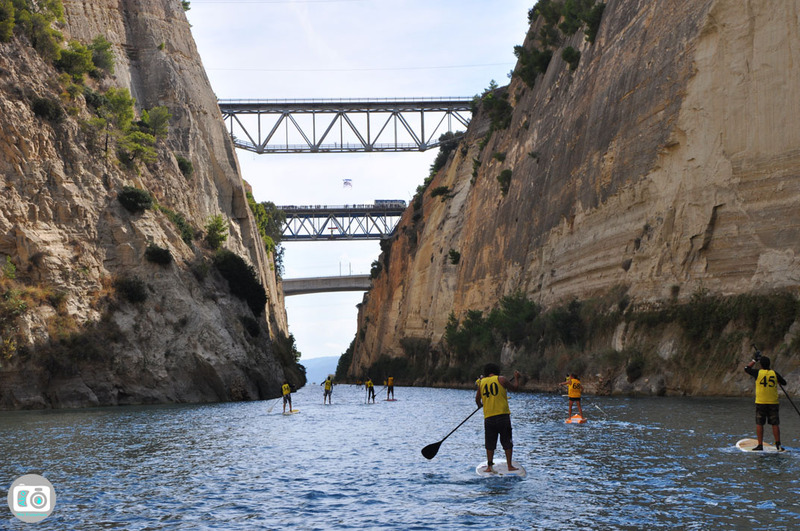 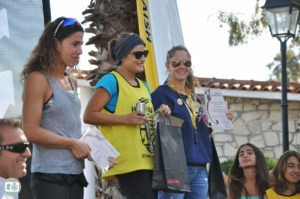 The lucky ones that managed to qualifyfrom that races, in total 65 paddlers, lived the extraordinary experience inside the historic canal of Corinth. 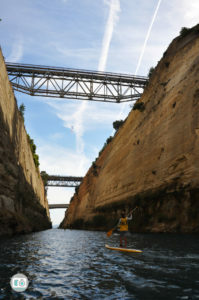 They paddled the crystal clear blue water, felt the massive walls hanging above their heads and tried to cross the 6.423m as fast they could for the win. 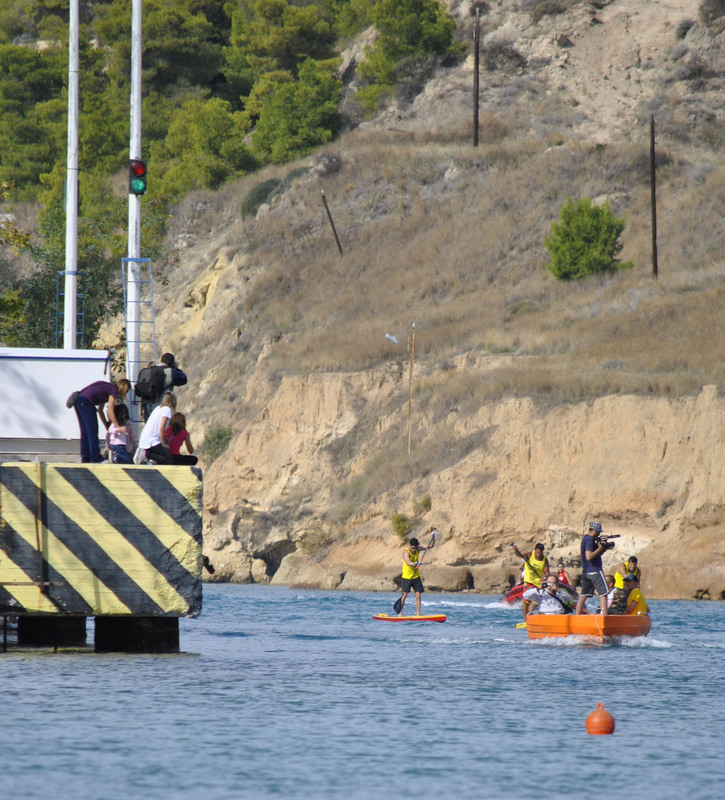 Last year, organizers had managed to do the same crossing with a bunch of athletes, which was the big rehearsal for this years race, in order to have everything organized in detail. 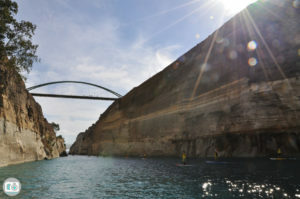 The relative photos and article, traveled all around the world through the web causing a lot of interest. 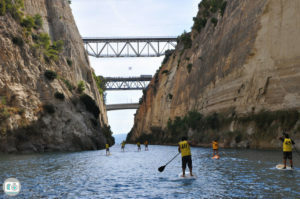 Many international magazines and portals were publishing the photos from the unique canal of Corinth. 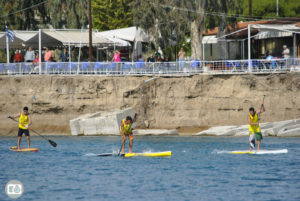 In this specific race, athletes were from Greece, Cyprous and Bulgaria. Organizers are hoping that this race will be established and become an International event, attracting many world class paddlers in the future. This way they can promote Greek rich tradition, history, culture and of course the Greek athletic spirit. 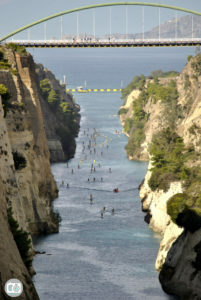 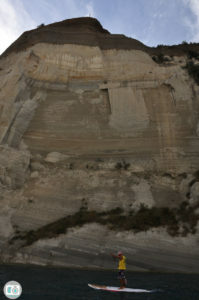 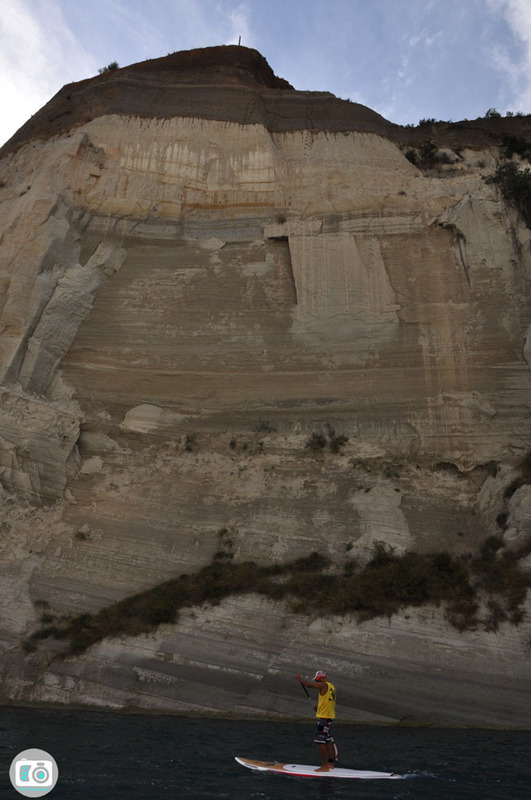 “Everyone in the world should know about Periandros and Corinth Canal! 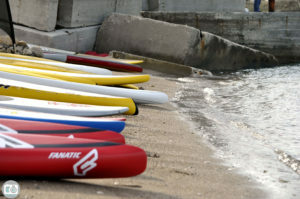 What is a better way than these unique photos?” Organizers mentioned. 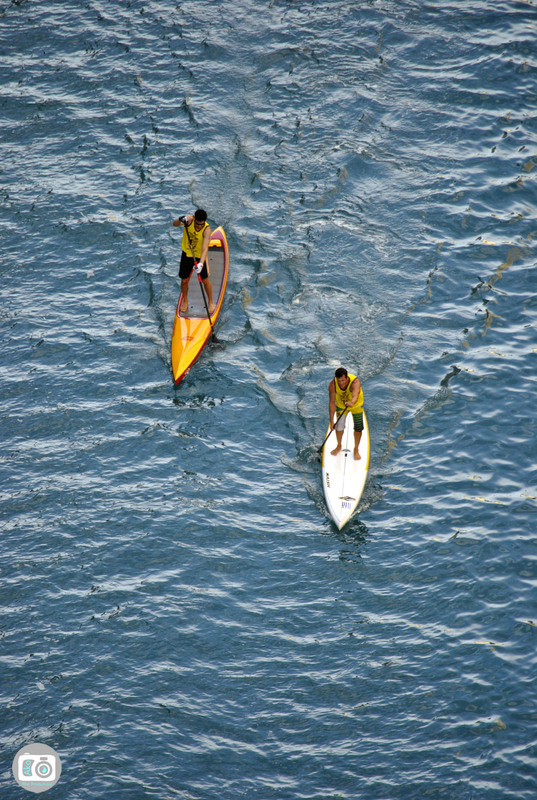 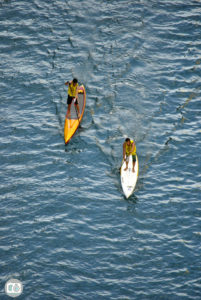 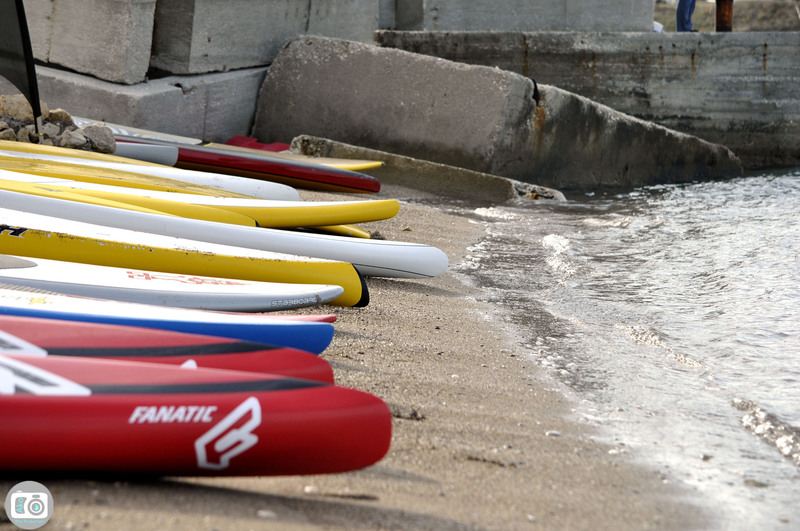 For your information, the sport of SUP (Stand Up Paddle) is a relative new sport with a history of just 10 years. 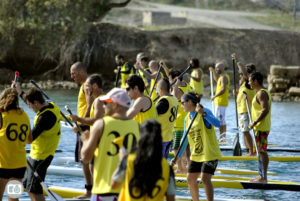 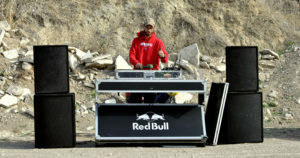 On the other side it is one of the most fast growing sports globaly. It is easy for the begginers, doesn’t require special skills, can be done either from men, women, children of all ages. 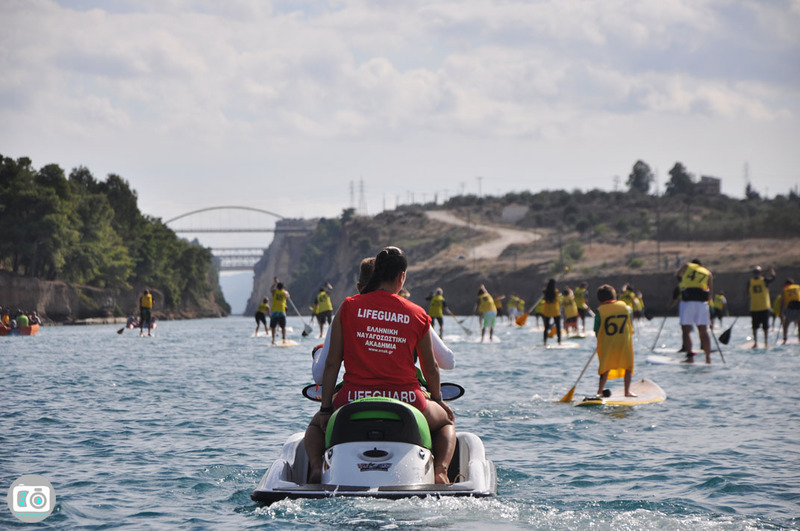 It is consider to be a alternative form of exercise that can be done in sea, lakes, rivers and generally everywhere there is water!